Successfully Added USB DVR Security System - 4 Video Channel, 2 Audio Channel to your Shopping Cart. 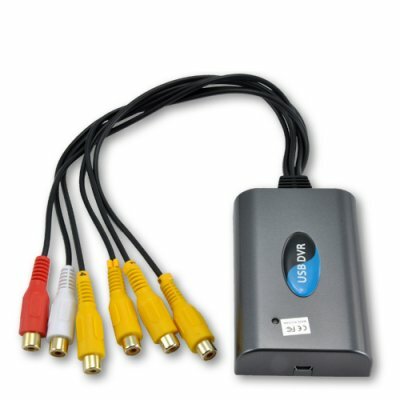 Introducing an easy to use, USB DVR device that turns your computer into an inexpensive AV-IN video recorder for camera or other devices such as DVD players or camcorders. Plug in up to 4 security cameras and you can keep an eye on everything and everyone - you can even watch the live video footage over the Internet! Another great feature is the versatility. You can use it as a security solution or let your imagination go wild. The AV inputs allow you to plug in any analog source such as a TV, video camera, mini DV camcorder, DVD player, video game unit...the possibilities are endless. Simply attach a composite AV cable (you know the black cables with red, yellow, and white plugs at both ends) from your unit's AV OUT port to one of this unit's AV IN ports and you're all set! Did we mention that all captured footage is saved in the popular MPEG4 video compression format? Whatever you connect to this device, you'll be able to see the video footage from another room, another building, or even another country! That's because the K78 plugs into your PC and works with your computer's networking system to support LAN, Intranet, and even Internet monitoring. Imagine being able to monitor your home in Paris from your cellphone in Tokyo! No need to imagine - The K78 does it all and costs less than dinner for two at McDonalds! 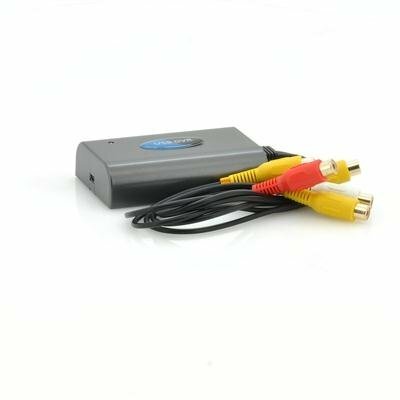 At such an affordable price, click "Add to Cart" a couple of times to buy this audio video USB DVR device for you and few buddies. Next, buy a whole bunch to sell on your online store. Brought to you by the leader in online wholesale direct from China electronics and DVR systems - Chinavasion.